Color your world with this MegaPack of multi-colored circuit stickers. 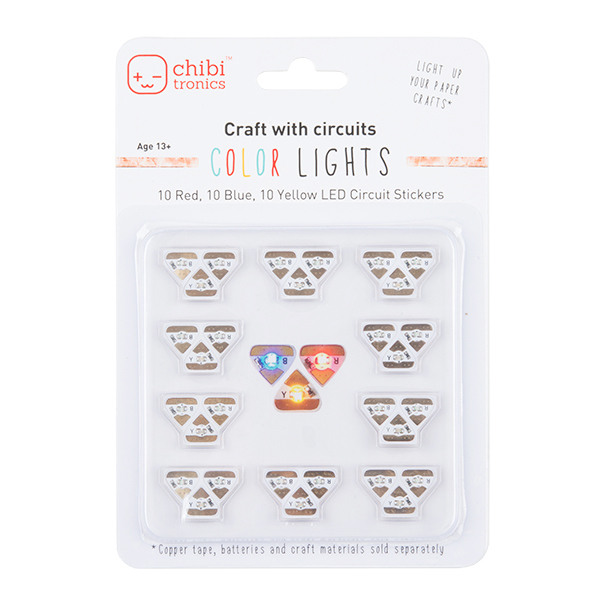 This LED sticker pack from Chibitronics is a set of 30 individual red, yellow, and blue LEDs (10 of each) that offers a conductive adhesive backing that can be attached to just about any surface and powered by a simple coin cell battery. That's right, no soldering, no sewing, and no coding. Just peel, stick, and you'll have a set of glowing white LEDs in no time! 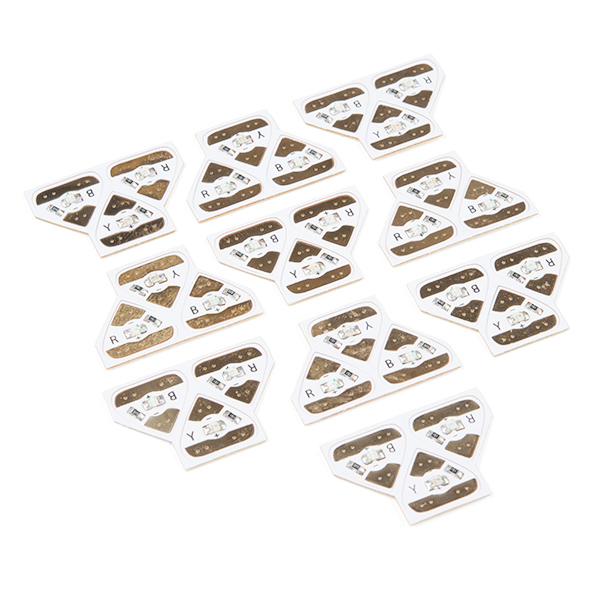 As these are stickers, you can expect them to be thin, light in weight, and particularly flexible. 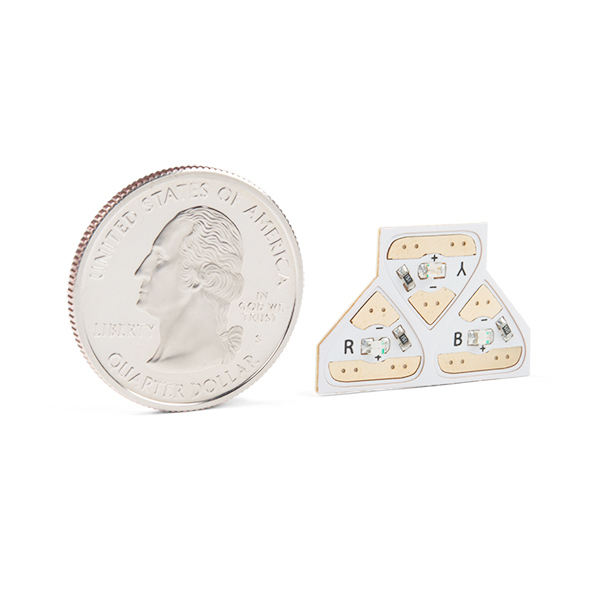 Each Circuit Sticker can be connected to each other and their power source via copper tape, conductive ink, and conductive paint.